With Microsoft Publisher anyone can create professional-looking publications on their computers without having to master any complicated software. Yet, however easy and convenient it may sound, MS Publisher is a lesser known and used Microsoft Office application. It’s not as widely used, and therefore, not commonly found on many computers. This poses a problem for MS Publisher users that need to collaborate with others. One workaround, though, is to use the PDF format. 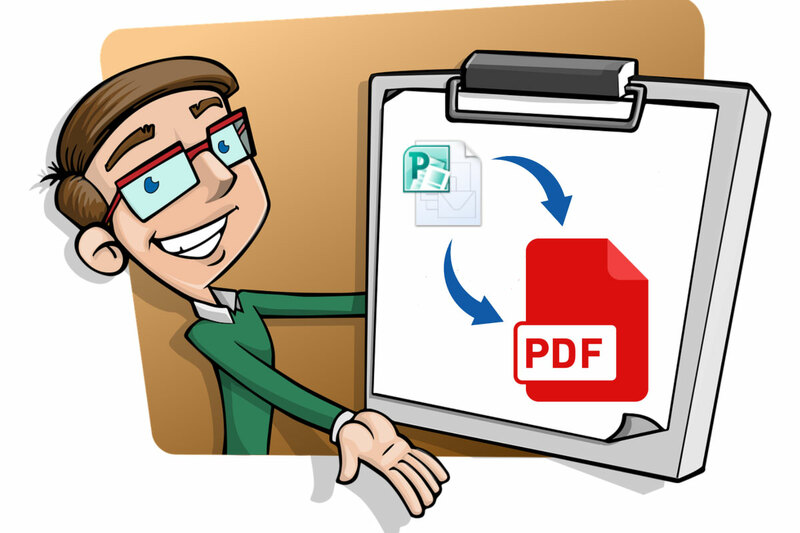 In such cases, Able2Extract Professional can be integral for creating PDFs from PUB files or converting PUB to PDF files. Microsoft Publisher is an easy-to-use graphic design application. Because of that, it’s mostly used by small businesses and solo entrepreneurs. It’s similar to Word except that it contains more options for customizing page layout and focuses on design rather than word formatting. MS Publisher is ideal for creating logos, business cards, branded calendars or more complex items such as brochures and newsletters. It comes packed with templates for various publications making the software tool user-friendly even for those who don’t have any experience in design. Clipart, charts, logos, and animation can be added to documents for enhancement or consistency. 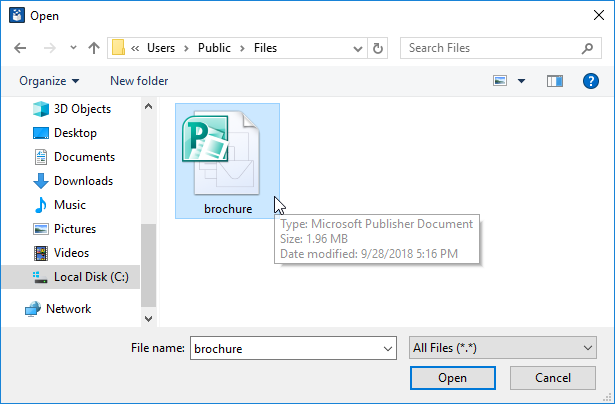 Microsoft Publisher 2016 is the latest version of Publisher included in MS Office 365 Home and Personal subscriptions, but only as a PC application. Able2Extract Professional allows users who don’t have access to MS Publisher application to easily create PDF files from their PUB files. Even if you have and use MS Publisher it doesn’t mean that everyone receiving your work will have it installed on their systems , so it makes perfect sense to create PDF from PUB files. Open the Able2Extract Professional application and click on the Create button in the main toolbar. A pop up will allow you to choose the Publisher file you want to convert. After double-clicking on it, the software will convert it to PDF. Click on the Save button and select the location and name for your new file. In a matter of seconds, you’ll have your design in a PDF file that can be opened on any operating system and viewed on any type of screen. On top of that, Able2Extract gives you the ability to edit PDF content on the spot. It comes in handy, for example, when you want to make quick modifications to the PDF proof of your business card information that was designed in Publisher before sending it out for printing. By integrating Able2Extract Professional into your workflow, you can easily enhance the productivity of your business in many different ways. Check it out for free and discover all the features it has to offer when it comes to dealing with PDFs and other digital document file formats.